Rapid 9/8 mm Heavy Duty staples are staples designed specially by RAPID for the Rapid HD9 Heavy Duty Stapler. 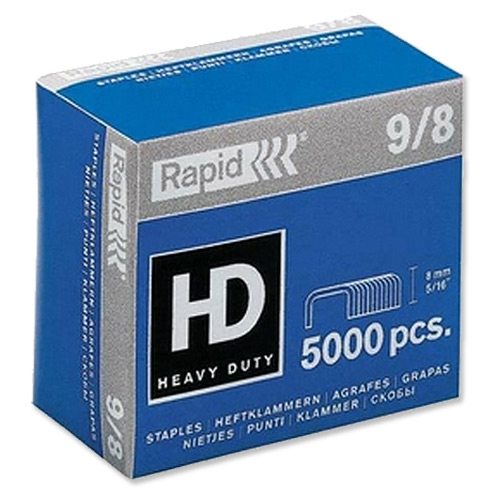 The high quality and strength ensures better results when stapling from 10 to 40 sheets of paper. They are made from galvanised super strong wire and have sharp edges for better penetration. They have an 8 mm leg length and come in a box of 5,000 staples.